With just a short time to go before the kids are out for the Easter holiday, parents in London as well as elsewhere around the country are looking for things to do with the kids to keep them entertained. It isn’t likely that you’ll get time off work for the duration of the school holiday, so if you have older kids who are well able to care for themselves in the daytime, you will also want to see to their safety while mum and dad are at work. Here are a few suggestions to make the Easter holiday of 2017 a happy and safe one for the entire family. Whilst there is no steadfast rule in the UK as to what age a child should be in order to be left in their own care, the law clearly states that they cannot be left unattended if they will be subject to neglect, harm or injury in any way. Interpreting this, it means that even those kids who are old enough to be left alone need to be left in such a way as to be safe from outside forces. For example, a 15 year old girl is old enough to babysit the neighbour’s toddlers, why can’t she care for herself during the day while mum is at the office? The short answer? She can! The long answer is that mum and dad need to make sure all locks in the home are in working order and that she can lock herself in to keep intruders out. 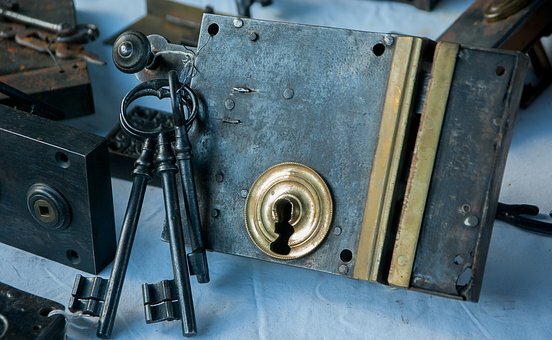 If your locks are not secure and in good working order, it is your responsibility to call locksmiths in London if necessary to change existing locks for newer, more secure locks. The Art of the Brick: DC Superheroes – iconic comic book characters sculpted in equally iconic Legos. This exhibition runs through September of 2017, so if you miss it on Easter week, catch it on the summer holiday. Kids of all ages will love this one at South Bank! Robot Zoo – Scheduled to run through October, take the little ones to see all the same kinds of animals they would see at a real zoo. The location is the Horniman Museum in London. Beatrix Potter’s London – Who doesn’t love the stories and drawings of Beatrix Potter? This one only runs through 28 April, so make sure to take the kids to the Victoria & Albert Museum where Beatrix Potter spent much of her time visiting the exhibitions and sketching the little animals that would one day make her amongst the most cherished children’s authors/illustrators of all times. These are just three of dozens of activities you can enjoy with your children this Easter holiday dress 2017 but enough to show you that there is something for everyone. Have a happy and safe Easter and enjoy the kids! After all, they’re only kids once and these are the memories you’ll cherish always.